NLP Training Concepts offers the best of all three generations of NLP and incorporates not only basic NLP skills but offers many additional processes from other esteemed NLP organizations, which are not offered in or taught in the other programs. NLP Training Concepts, LLC offers a variety of application programs in addition to full and complete certifications for both Practitioner and Masters level. NLP Training Concepts brings in outside trainers who train in their areas of expertise, such as Steve Andreas (Modeling Self Concept). NLP Training Concepts is local to the Dallas/Fort Worth area and provides a community of support of other NLP students and a network of associations. Susan Stageman as a part of an elite group of NLP trainers worldwide, teaches NLP as a 7 and 8 month program, which is the most effective way of learning and integrating NLP so the skills are automatic. 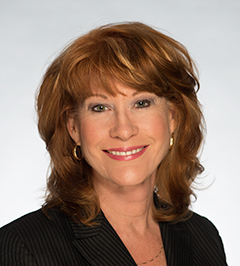 Susan Stageman is a recognized expert on belief work (the only one in North Texas. She has studied with Richard Bandler and Christina Hall and Robert Dilts, the creative genius in NLP today, Robert McDonald and Tim Hallbom, all recognized for their pioneering work in finding and recoding unconscious and limiting beliefs. Belief work is a precise and intricate process which requires excellent calibration skills and knowledge of belief structure and neurological levels. Susan Stageman is the founder of NLP Training Concepts, LLC. In her practice, she trains individuals and facilitates group sessions in Neuro-linguistic Programming. Susan also conducts classes in stress reduction, identity work and is a Certified Challenge Course Instructor (Ropes). In addition to her classes at NLP Training Concepts, Susan has conducted classes on communication, language and rapport at Southern Methodist University (SMU). To become the “benchmark” organization for personal development – supporting achievement of both individual and professional goals, according to the unique requirements of our clients. NLP Training Concepts is committed to providing the highest quality learning opportunities for clients seeking personal and professional development. Our core value is committed to facilitating learning opportunities for participants to acquire or enhance the skills necessary to progress and develop within and beyond their potential. Customer Satisfaction – listening, identifying needs and finding solutions to meet the individual needs of our clients – resulting in positive feedback, and repeat and referral business. Integrity – doing what’s right for everyone involved through honesty, fairness, and conscientious accountability. Initiative – recognizing the opportunity to be creative innovative and proactive; then taking the first step to serve our client’s requirements. Commitment – doing what we say we’ll do by following through and being loyal to our clients. Teamwork – accepting responsibility by working together toward a common goal through mutual respect, trust, loyalty, open communication, and support of each other’s strengths.